The Annual Report of the Secretary General of the Regional Cooperation Council (RCC) 2016 – 2017 has been accepted by the organisation’s Board, at its 32nd meeting in Sarajevo today. “This Annual Report covers an important period for the RCC and its activities. We have completed the implementation of the previous Strategy and Work Programme (SWP) for 2014-2016 and transitioned to the new SWP for 2017-2019 - all of this amid an intensive regional dialogue and regional cooperation,” said RCC Secretary General, Goran Svilanovic. “The RCC invested considerable efforts in ensuring that its agenda resonates with the evolving regional trends and, concomitantly, focuses on the areas where an impact can be ensured and sustained. The cooperation and guidance received from governments, regional and international organizations, civil society and the private sector were invaluable in this regard,” he added. 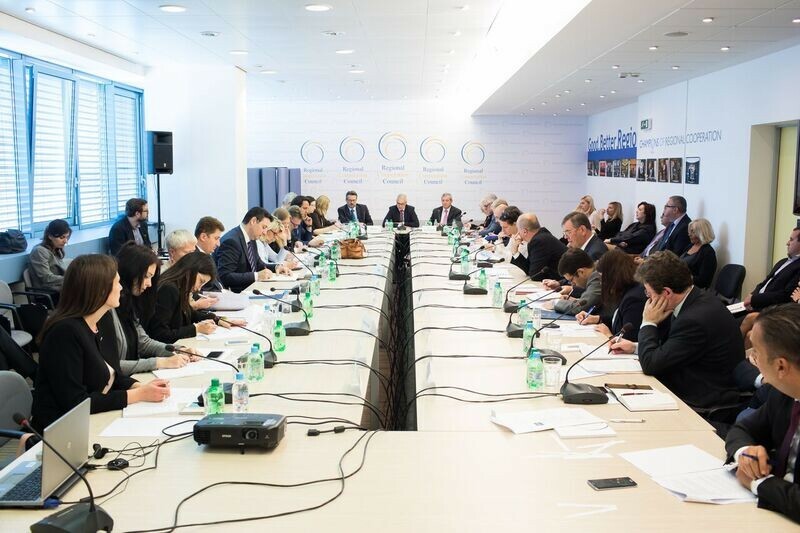 The RCC Annual Report is expected to be endorsed at the RCC Annual Meeting and then at the Meeting of Minister of Foreign Affairs of the South-East Europe Cooperation Process (SEECP), and the SEECP Summit, in Dubrovnik, Croatia, in June. The Board also heard the presentation of the Report of the Secretary General on the activities of the RCC Secretariat in the period January – April 2017 as well as progress Report on the organisation’s activities in the area of Countering Radicalization and Violent Extremism (CVE) in the region, and information on the most important future activities of the RCC Secretariat, in particular those related to the implementation to the RCC Strategy and Work Programme 2017 – 2019. Information on the Coordination Meeting between the Troika of the South-East European Cooperation Process, the RCC Secretariat and the European Union has been shared with the Board participants, as well as the information on the upcoming high level RCC - SEECP events in Croatia. The fourth meeting of the Governing Board of the RCC’s South East Europe (SEE) 2020 Strategy will be held on 28 June, in Dubrovnik, Croatia, back to back with the organisation’s Annual Meeting. The SEE 2020 Annual Report on Implementation (ARI) will be presented at this meeting, as well as the SEE 2020 programming process and results. Regional Environmental Center (REC) presented its achievements and future activities to the Board participants in a part of the meeting traditionally devoted to hosting regional initiatives. The RCC Board meets three times a year and is chaired by the Secretary General. RCC Board meetings are convened and prepared by the Secretary General in coordination with the SEECP CiO.